A new image object type which we are calling a "raster" has been added with GMS 9.0. 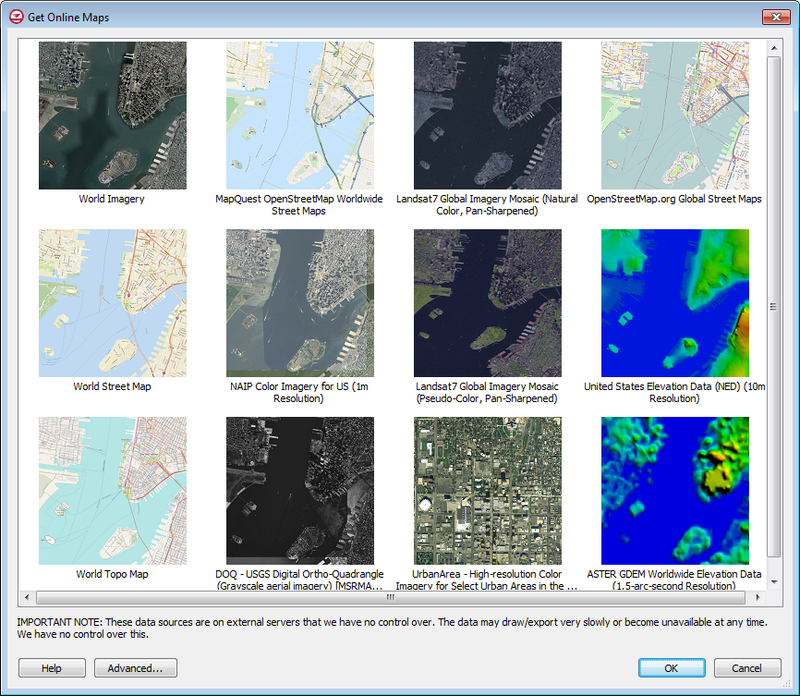 Rasters are essentially images with elevations - an image that includes a color value and a data value at each pixel. GMS uses the raster object type to support DEM files, and a large variety of DEM file types can be imported into GMS as rasters. 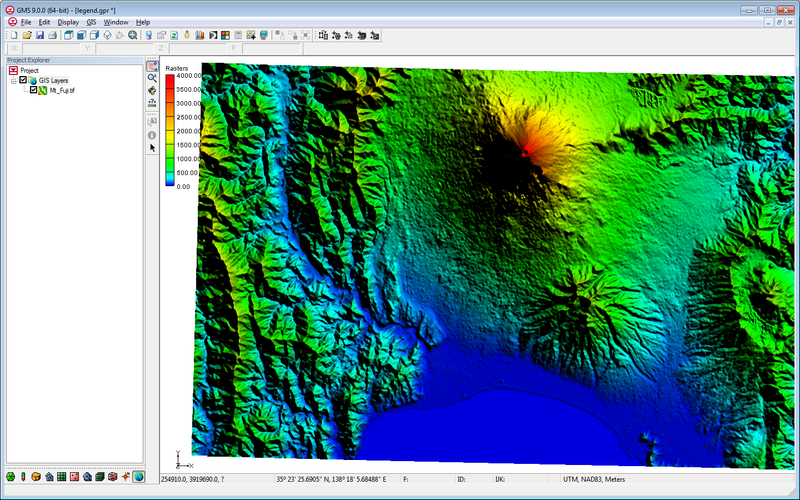 Rasters can be displayed as 2D images, with or without shadows, or as a 3D point cloud without shadows. Both options are very fast and memory efficient. Four different shaders, or color ramps, can be used to show variations in elevation. 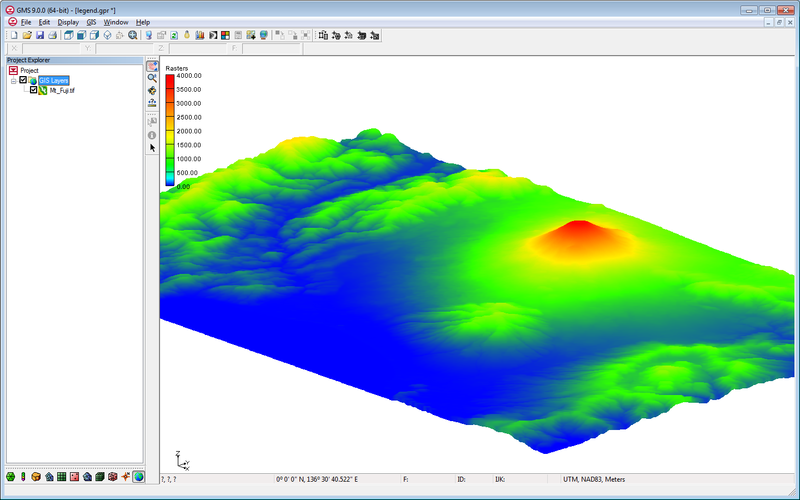 Rasters can be interpolated to all other GMS object types as well as to MODFLOW layer data (similar to 2D scatter points). They can be created inside GMS from 2D scatter points. A wiki page has been created to document the raster interface in GMS and a new Raster tutorial will be available when GMS 9.0 is released. "Online maps" are a new feature added at GMS 9.0. 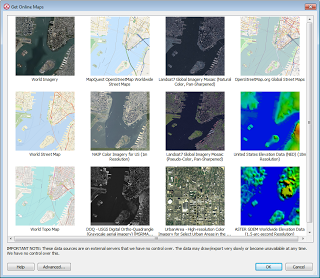 Online maps are free raster data (aerial photos, street maps, elevation data etc.) 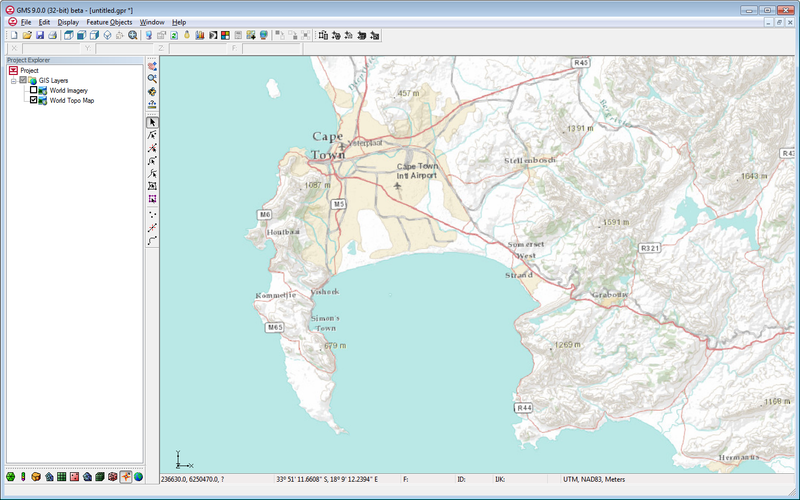 from sources such as ESRI and OpenStreetMap.org (other sources can be added via an Advanced button). If you have an internet connection, online maps can be displayed in the background in GMS and are updated automatically as you zoom in and out or pan the view. The imagery is automatically projected to the current display projection and displayed in real world coordinates. 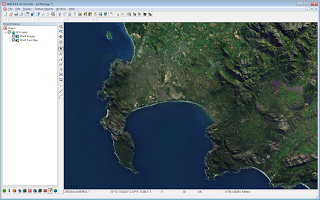 An online map can be exported and saved locally with your project. Online maps provide an easy way to locate and start a new modeling project. For more information, see the wiki. 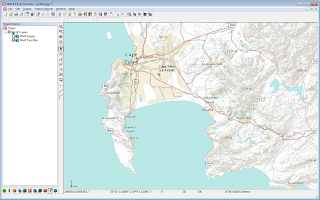 GMS showing a World Topo Map Online Map. GMS showing a World Imagery Online Map.